Essendant is a national master distributor of office supplies, and one of the main suppliers of our office product dealer customers. At the gathering they hosted in Aurora, Colorado, my colleague Cameron Mowbray and I did make new contacts. But more valuable than that was what I learned about my customers; I also took away a great reminder about customer engagement. Last September, I became the account manager for all our customers in the office product industry. I’ve always loved meeting our customers in person, as we spend a lot of time communicating on the phone and on email. It’s astonishing how much you can learn about your customers in a short amount of time just by sitting down, face to face. I’m certain the information we learned will help us serve them better in the future. I would say that people don’t feel they really know you until they meet you face to face, and there are certain levels of trust you can’t achieve over email and phone. Also, as valuable as phone conversations can be, they generally happen in the middle of busy workdays when we all have other things on our minds. With the numerous channels emerging to engage with your customers, the importance of face-to-face interaction often gets forgotten. Personally, I like the new methods of communicating. They can be cheap and fast and give your customers instant access to you. And sometimes that’s all you need. But face-to-face interaction is still vital. We should be looking at the new methods of communicating as add-ons to our old methods, not replacements. No matter how great the new methods can be, nothing beats a sincere hand shake and face-to-face conversation. 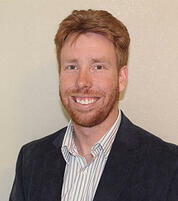 Sales Executive Cody Gallegos serves as sales lead for ENAVATE’s managed services team. He has seven years’ experience in outbound sales and account management.